10 ways you can cruise to Cuba this year. One of the biggest travel stories of the past year has to be the renewing of relations between Cuba and the US and the rise of Cuba as a destination for American travelers. Cuba has long been a favorite sun and culture destination for Canadians and Europeans. Only US citizens were prevented from traveling to the Caribbean's largest island. Now American cruise ships are permitted to sail to Cuba, and late in 2016, Cuba approved a number of US cruise lines' applications to make port calls. A few international cruise lines could always go, and they have increased sailings and itineraries. So cruising to Cuba is one of the biggest travel stories this year. Canadians and Europeans now have a lot more choices to cruise to Cuba, and Americans now have that cruise option, although they still need a visa. US cruise lines now sailing to Cuba generally facilitate a 'people-to-people' visa for American guests. BestTrip.TV's cruise expert Lynn Elmhirst rounds up 10 ways you can cruise to Cuba this year. From single days in port in Havana, to a week or more exploring the island, cruises to Cuba allow you to get a taste or immerse yourself in Cuba's culture, history, and natural wonders. This Greek line claims to offer the only true circumnavigation of Cuba on 7-day, all-inclusive cruises departing every Monday from Havana, and every Friday from Montego Bay, Jamaica. Formerly known as Cuba Cruise, this cruise began sailing 3 years ago, and now sails year-round in Cuba on a 1200 passenger ship that was renovated in 2016. 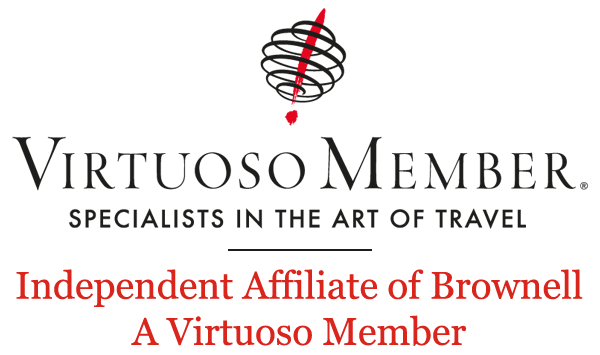 They offer the p2p program visa for American citizens. Itineraries include two days in Havana and various calls including Maria La Gorda, known for its impeccable beachfront and underwater marine life, the perfect destination for scuba divers, snorkeling enthusiasts and beach lovers, Punta Frances on the Isle of Youth, Cienfuegos, an 18th-century fortress, and historic Santiago de Cuba, 16th century capital of the Spanish colony of Cuba. Ports and shore excursions provide city tours, history, adventure, cultural walking tours, hiking, beach days and snorkeling to passengers of all ages and tastes. This cruise is family-friendly, with a supervised children's program for 4-12 year olds. Lindblad Expedition cruises' partnership with National Geographic means these cruises are for travelers serious about in-depth expertise: photographers, naturalists and cultural specialists join guests on the 11-day trips. These land and sea tours are an extension of Nat Geo's existing land tour programs, and they fulfill the p2p visa requirements for Americans. Trips begin with a flight from Miami, and include several days in Havana, as well as stops in Trinidad, Cienfuegos, the historic Bay of Pigs, Isle of Youth, and Cayo Largo. Fewer than 50 guests are on board the Panorama II, a small expedition ship, as it makes ports of call that highlight Cuba's marine and natural wonders and culture, highlighting music, history, and interacting with locals like artists, mechanics who inventively keep those classic US cars running, members of Cuba's renowned medical community, and naturalists protecting endangered species. Natural highlights include searching for the smallest bird in the world, the bee hummingbird, a visit to a sea turtle breeding center, diving, and lots of wildlife and scenic photography. Canadian tour operator G Adventures provides a less intense/ serious, and more youthful and affordable version of a Cuba expedition cruise on its 8-day 'marine tour' of Cuba's Canarreos archipelago in a catamaran with only 14 people on the tour. This cruise option is one of several types of trips to Cuba the company offers. Americans are welcome, but need to arrange their own visas. Cruises start and finish in Havana, and spend 5 low-key, soft-adventure days exploring off-the-beaten-path islands and island communities, with relaxed days of snorkeling, kayaking, sailing, easy exploring, visiting lighthouses, enjoying seafood dinners, and lazing on deck or on the beach. Pearl Seas Cruises (a sister company to American Cruise Lines), offers 10-night 'Cuban Cultural Voyages' that fulfill the American p2p visa requirements. On the 200-passenger Pearl Mist, guests enjoy luxury elements including all private balconies on its 100 staterooms and high-end culinary offerings, but the company also makes sure to point out that there is elevator access to all decks and on board medical for its senior guests. These cruises run January through April, 2017, and start up again in November. There's a packed program of stops on the island beginning with 2 days in Havana, and other ports include Isla de la Juventud, Cienfuegos, Trinidad, El Cobre, Santiago de Cuba and Parque Baconao. Guests engage first hand with local tradespeople, artists, musicians and historians at museums, national parks, art studios, architecturally significant homes and UNESCO World Heritage sites. MSC Cruises, a European company, was one of the first major cruise lines to feature Cuba in its itineraries for its European and Canadian guests. The cruises have been so popular, MSC has homeported 2, 2000-passenger ships, the Armonia and the Opera, in Havana. 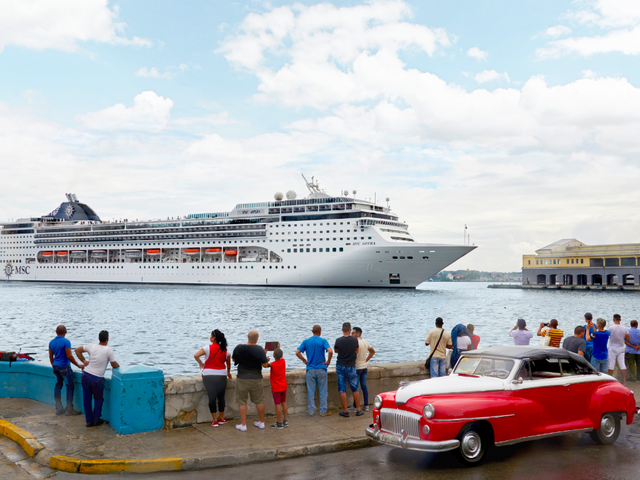 Guests spend about 2 days in Havana on MSC itineraries. MSC does not design its Cuba itineraries to meet American citizens' requirements for p2p visas, so guests have more flexible options that include not only historic and cultural attractions, but also beach days in Cuba as part of cruises that also include other Caribbean destinations. Royal Caribbean's smaller-ship, sister brand Azamara has just one Cuba port of call this season: it's added an overnight in Havana to one 12- night Caribbean cruise on the Azamara Quest departing March 21st from Miami with stops in Key West, Tampa, New Orleans, and Cozumel, Mexico as well as Havana. The cruise line says it's planning to introduce more dates and more Cuban ports, but it already offers an impressive line up of 6 of its signature 'Land Discoveries' immersive destination programs, including Hemingway's Havana and Havana by Classic American Car. The programs fulfill visa requirements for Americans, so this cruise is a destination-focused opportunity for the Azamara Quest's 700 guests to get a taste of Cuba. Regent Seven Seas Cruises is the only North American classic luxury cruise line to sail to Cuba – yet. It has added Havana to two Caribbean cruises aboard the 700-guest Seven Seas Mariner on April 11th and 18th. The itineraries are identical, with an overnight in Havana as part of week-long cruises that also call on Harvest Cay, parent-company Norwegian Cruise Holding's upscale resort destination in Belize. Regent Seven Seas cruises are all-inclusive, with fares that include airfare, unlimited shore excursions, alcoholic beverages, WiFi, gratuities and more. Its Cuba tours fulfill US p2p visa requirements and provide guests with authentic Cuban experiences that explore the people, music, art, history and culture of the island. Norwegian Sky, with 2000 guests, is the largest US vessel sailing to Cuba in 2017. NCL has scheduled 5, 4-day roundtrip cruises from Miami to Cuba on May 8, 15, 22 and 29th. The cruises overnight in Havana, and also spend a day at Norwegian's private island resort in the Bahamas, Great Stirrup Cay. Norwegian Sky's cruises to Cuba, like some of its others in the Caribbean, include an open bar, so overall, these short cruises will have mostly a party atmosphere. However, guests will be able to go ashore to visit sites in Cuba's capital, including the UNESCO World Heritage Site of Old Havana, and experience the local art and music scene; engaging with local artists (and fulfilling US p2p visa requirements). Oceania's Marina is the first of the Norwegian family of cruise lines to sail to Cuba. The 1250-guest, upscale ship begins one day or overnight calls in Havana in March, with programming that meets visa requirements for Americans. These 10 day or two week Caribbean cruises depart from Miami in multiple itineraries that also include NCL's new private island resort Harvest Caye in Belize. Royal Caribbean recently updated and renovated the 1600-guest Empress of the Seas for its Cuba itineraries. Beginning in April, 4, 5, and 7-night cruises depart from both Miami and Tampa on Western Caribbean itineraries with one day in port in Havana. Royal Caribbean's Cuba shore programming allows Americans to meet visa requirements while enjoying Royal Caribbean ship experiences like rock climbing, multiple pools, restaurants, nightlife, and even the Cuban-inspired dance club Bolero. Cuba is a brand-new destination for Americans, and cruising to Cuba is novel even for Canadians. A travel advisor can help you choose the right ship and itinerary, and navigate the details to ensure your cruise to one of the world's newest cruise destinations is all you dreamed.